There was a time when cell phones became smaller and smaller each year. Now, they are getting larger and larger with every generation. Of course, we don’t use them only for making calls or sending text messages, instead, we watch videos on them, play games, and we can even complete work on them. 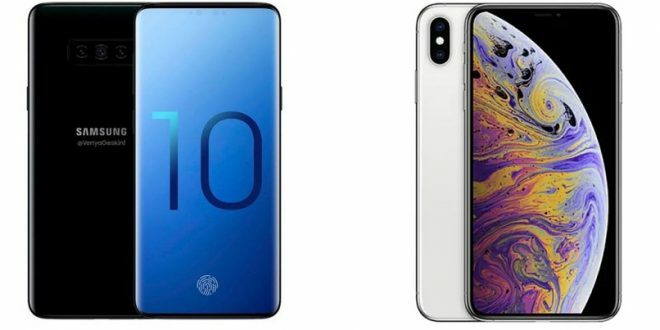 Two of the largest, and possibly the best, smartphones available right now are the brand new Samsung Galaxy S10+ and the Apple iPhone XS Max that launched a couple of months ago. Of course, picking one over the other for Android fans or iOS users should not be a tough decision. However, those who aren’t necessarily fans of one operating system or the other could actually have a tough time deciding to purchase one or the other. They are both great but one of them could be even greater. Let’s take a look at them both. Samsung’s Galaxy S10+ is one of the newest members of the Galaxy family. 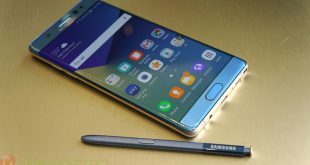 It is also the largest member of the family with its 6.4-inch display. 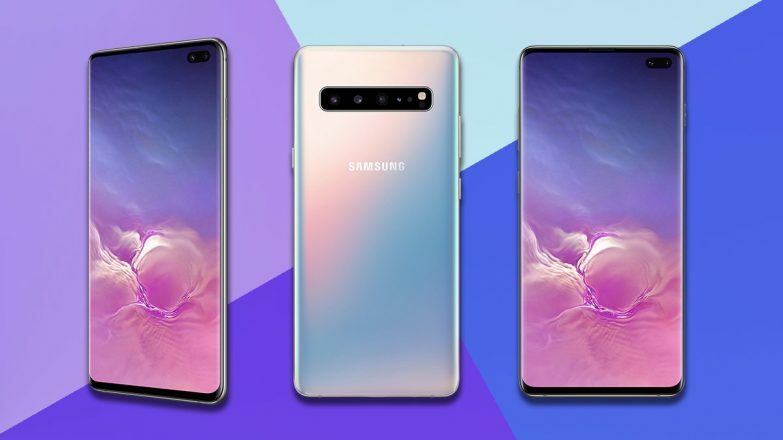 Even though Samsung is not really into considerably renewing the design of its devices, this year there really is a notable difference between the design of the new Samsung Galaxy S10+ and the one of last year’s model, the S9+. The bezels got even slimmer and the camera notch finally made its appearance too. It is not placed in the middle of the display’s top, instead, Samsung placed it in the upper right corner. While this is a rather strange position, especially since we all got used to the camera notches being in the middle, it actually may be a plus for some users. The huge, 6.4-inch Dynamic AMOLED screen almost covers the front of the device with barely noticeable bezels. The dual selfie-camera, as it was already mentioned, is in the upper right corner of the screen and it doesn’t take up a lot of space. Even so, it looks a little awkward after seeing the camera notch in the same place for quite a while now. The resolution of the screen is, as usual amazing, with a 522 ppi pixel density. The colors are vibrant, the blacks are deep and basically, everything looks great on this screen. It is perfect for watching videos, playing games and more. The back of the smartphone is also refreshed, as the three cameras are placed horizontally, near the flashlight. Under the hood is what really matters, though. The Samsung Galaxy S10+ carries two types of chipsets, depending on the market. In the USA and China, the device will become available with the Qualcomm Snapdragon 855 SoC, while other regions will get the Samsung Galaxy S10+ with the Exynos 9820 Octa chipset on board. The storage also got a huge boost, as one of the variants includes no less than 1TB of internal storage and 12GB of RAM. The other variants come with “only” 512GB or 128GB storage and 8GB of RAM. All variants support up to 512GB extra storage using the second SIM card slot. The handset runs Android Pie out of the box. The Samsung Galaxy S10+ has a total of five cameras. Two of these are on the front of the device, for selfies and video calls, while the other three are on the back of the handset. The front combo consists of a 10MP and an 8MP lens. On the back, users will find the trio, consisting of a 12MP wide camera, a 12MP telephoto lens, and a 16MP ultrawide sensor. The resulting images should be more than amazing. Other features of the Samsugn Galaxy S10+ include an in-screen fingerprint sensor, Samsung DeX support, and, of course, Bixby, the AI assistant is still there too. The battery of the Samsung Galaxy S10+ is quite a large one too. The device comes with a 4,100mAh energy pack, which should be able to ensure a more than decent on-screen time for users. Users can choose between the following color variants: Prism White, Prism Black, Prism Green, Prism Blue, Canary Yellow, Flamingo Pink, Ceramic Black, and Ceramic White. Of course, the price tag of the handset should be mentioned too, as its price starts at $999.99. Depending on the color and the storage amount, the price can go up to $1,599.99. Apple managed to surprise everyone last year with its trio. 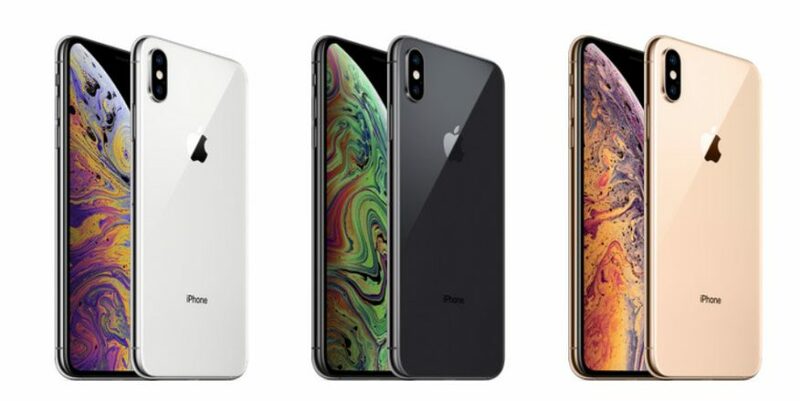 The Apple iPhone XS Max is, naturally, not only the largest Apple handset available right now but also the coolest. The 6.5-inch device is larger than we ever though an iPhone could get. The bezels on the device are barely noticeable, so the screen-to-body ratio of the handset is quite impressive, especially if we think of older iPhone models. The notch, however, is quite visible as it covers the most part of the screen’s top. It is placed in the middle, which is really familiar by now to everyone but it still is quite large. The iPhone XS Max has an OLED display, which is quite nice, however, the screen resolution of this screen is lower than the one of the Samsung Galaxy S10+’s display. The pixel density is only 458ppi, but then again, the difference is not easily noticeable with the naked eye. The display itself might not sound as great on paper as the one of the Samsung Galaxy S10+ but it is truly amazing and it ensures a great visual experience. The display also offers 3D Touch support, which is particular to the iPhone devices. The back of the handset looks a lot like the one of previous models, with only two cameras and the well-known Apple logo. The Apple iPhone XS Max is quite a powerful smartphone. It carries Apple’s A12 Bionic chipset, which is also built on a 7nm platform, just like the Qualcomm Snapdragon 855. As for the storage and memory, Apple did not make a notable change and still delivers devices with surprisingly low amounts of storage and RAM. To be more exact, there still is an Apple iPhone XS Max that only includes 64GB of internal storage. Thankfully, there are also a 256GB model and a 512GB variant, so everything is not lost. Unfortunately, the 4GB of RAM they include is a little disappointing. The device works fine, however, it is a little strange to see only 4GB of RAM in a flagship device. iOS 12 might save the day, as it has a number of nice features. Apple kept is really simple in the camera section too. It only equipped the iPhone XS Max with three cameras. That’s almost half the cameras of the Samsugn Galaxy S10+. The iPhone flagship has one selfie camera with a 7MP sensor on the front and two 12MP lenses on the back. The images they capture are definitely high-quality even so, again, it is strange to see a flagship that doesn’t offer a great number of cameras with huge lenses. Then again, the result is what is really important and to be honest, the XS Max can deliver really great pictures and videos. The battery of the Apple iPhone XS Max is also quite small. For such a beast, the 3,174mAh battery just seems to be too small. It should be able to take you through the day but don’t expect it to last forever. Other features you can find on the iPhone XS Max are Siri, Face ID, and wireless charging support. The handset is available in Space Gray, Silver, and Gold, so there are not a lot of options here either. The price of the handset starts at $1,099.00, and it can go as high as $1,449.00. For those who are not committed to the Apple brand, based on the specs, this should be a no-brainer. The Samsung Galaxy S10+ has all the advantages, except for the design, maybe. It has a Dynamic AMOLED display which is only a tad smaller than the one of the iPhone XS Max, it has a powerful chipset, it includes at least as much internal storage as the iPhone and it offers double the amount of memory. If you love taking pictures the extra cameras could also make you go for the Samsung Galaxy S10+. The price is also a factor here. For the starting prices, Samsung has more to offer. Even though the price of the most powerful Samsung Galaxy S10+ is $150 higher than the one of the best XS Max, you should take into consideration that this variant offers double the storage amount, triple the memory amount, and it comes in beautiful ceramic black or white. While many people would probably disagree, I would choose the Samsung Galaxy S10+ over the Apple iPhone XS Max in a heartbeat. Which one would you prefer?